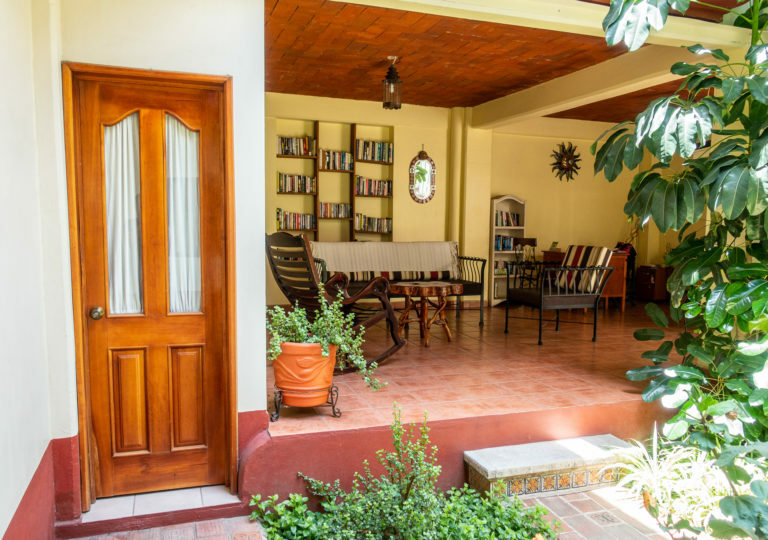 This charming studio has its entrance in the courtyard garden on the first floor. 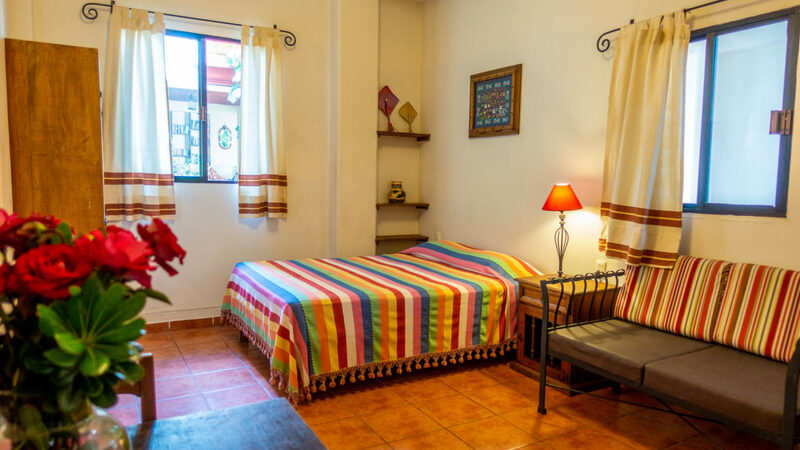 It is comfortable, functional and has easy access to the common living area. 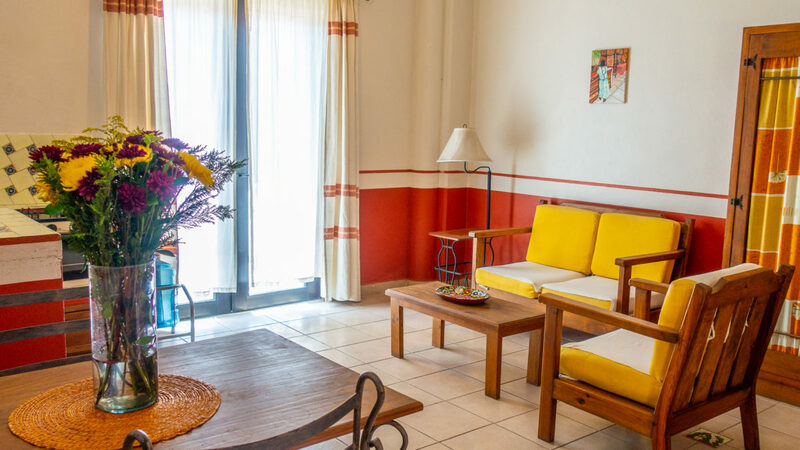 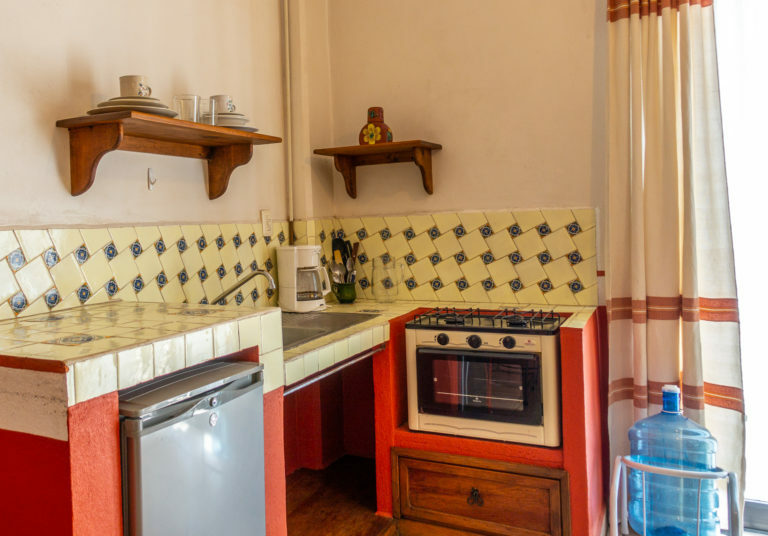 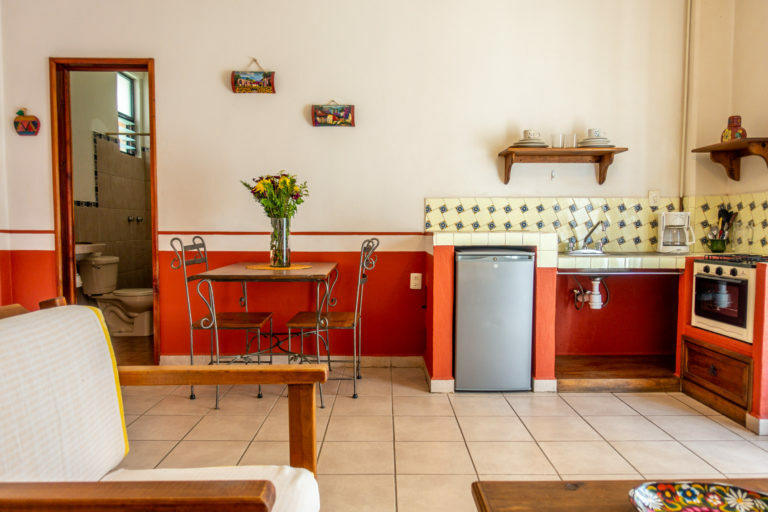 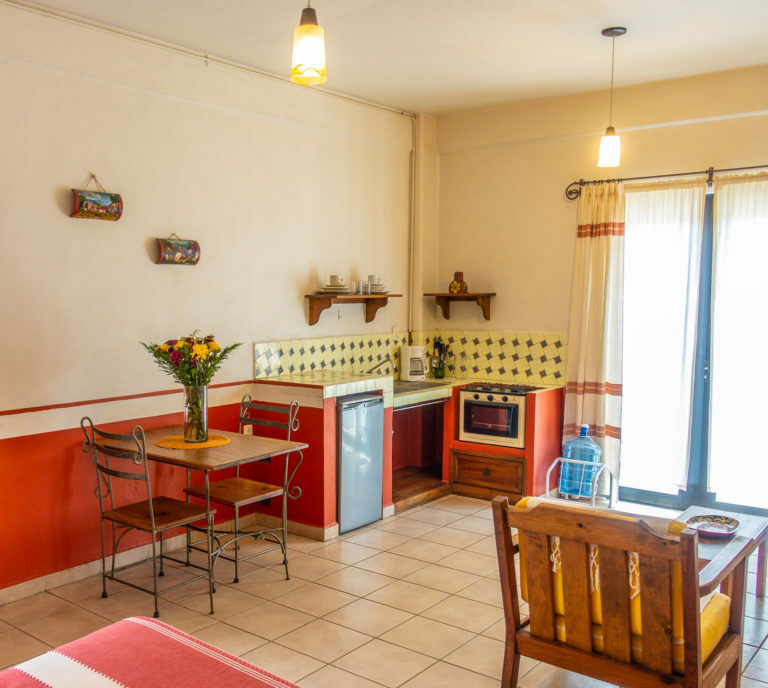 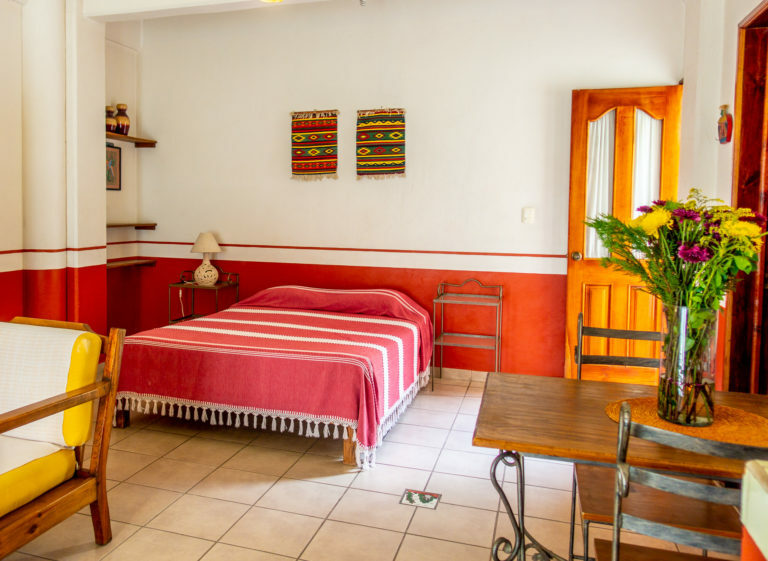 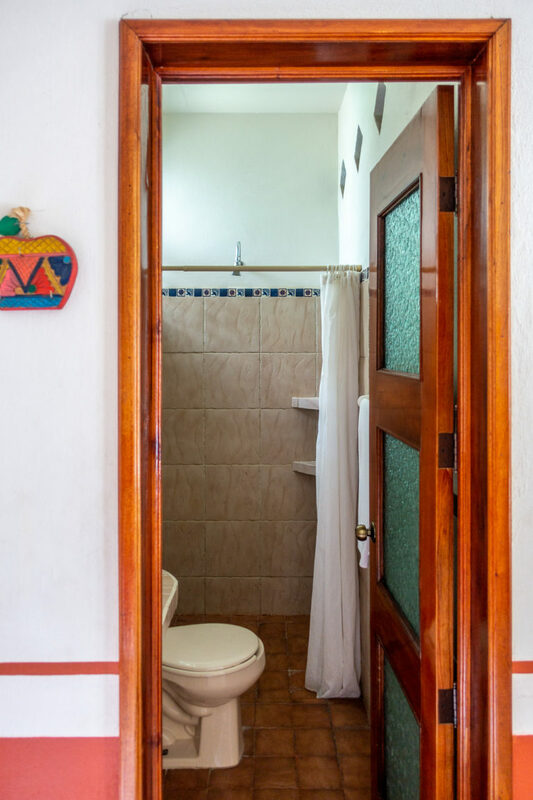 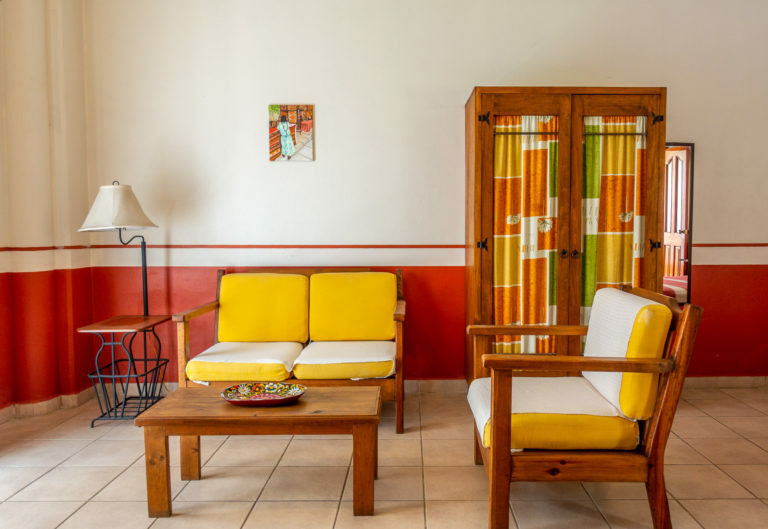 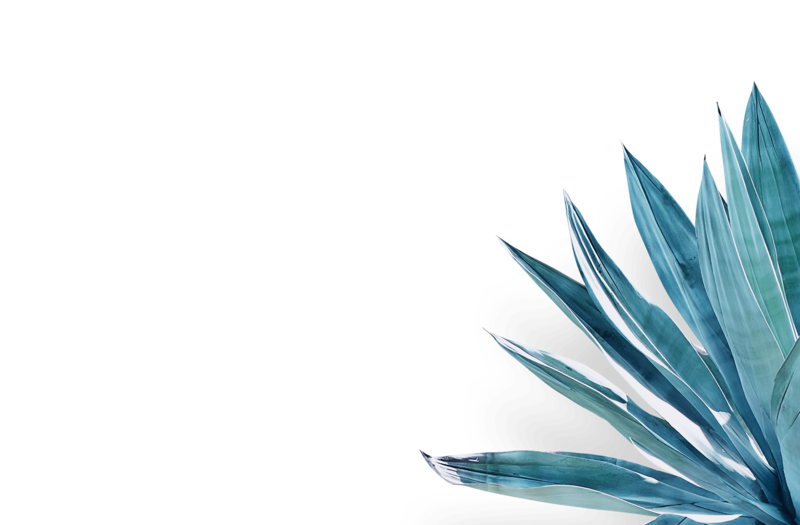 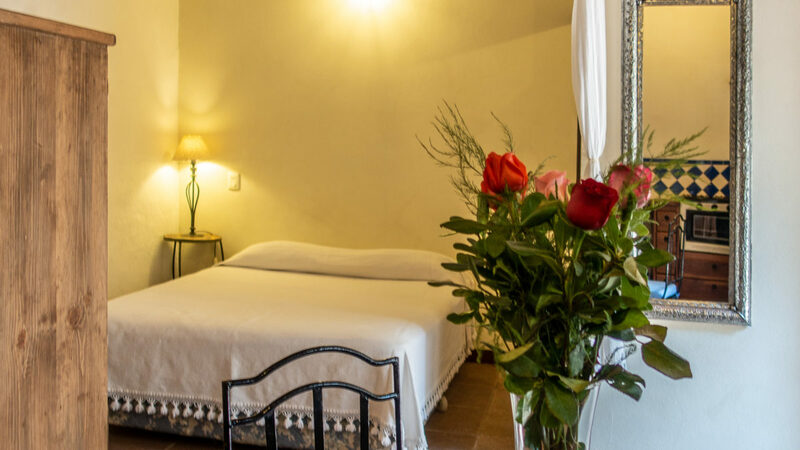 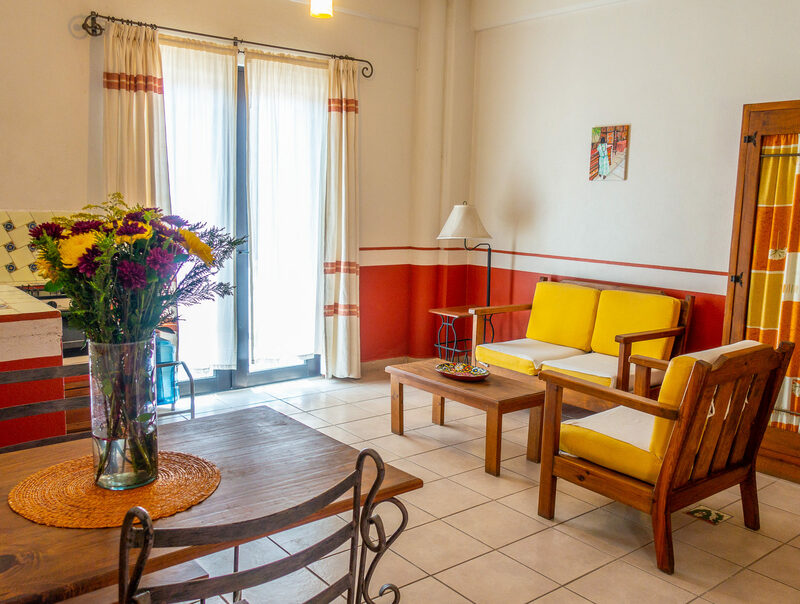 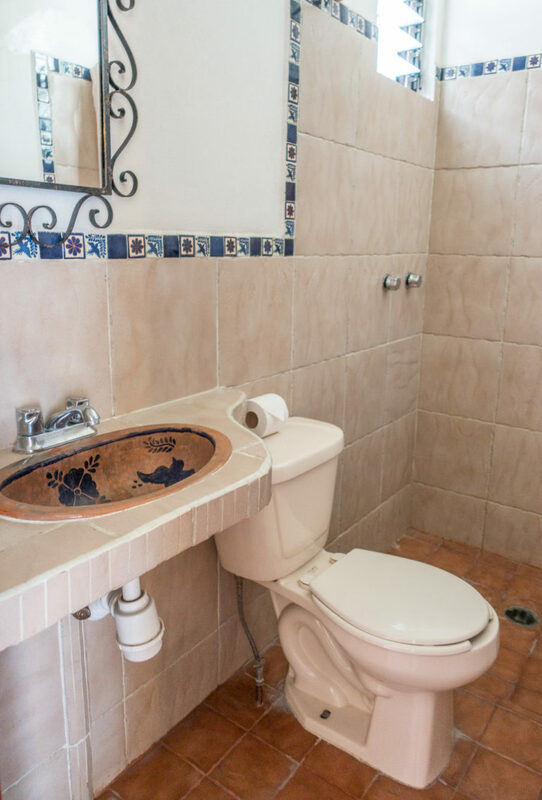 It has a traditional Oaxaca ambiance with coloured lines on the walls, local crafts and decorations throughout creating a homely feel. 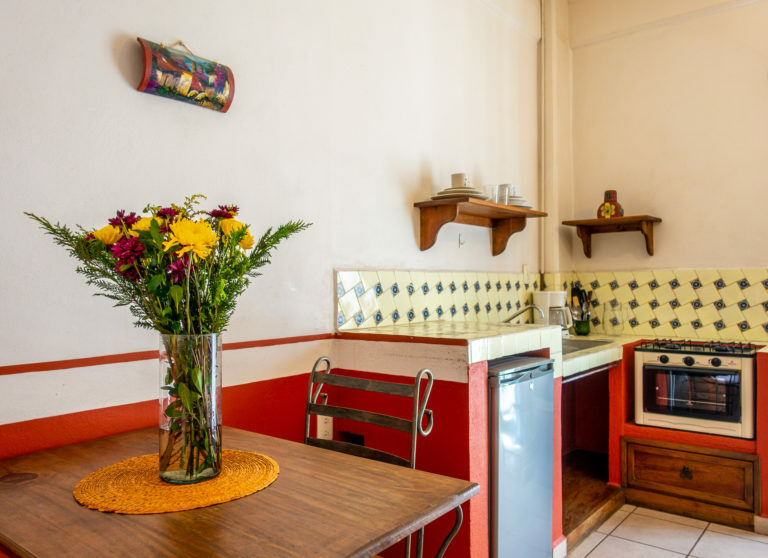 It has a french window to the street with a comfortable seating area in front. 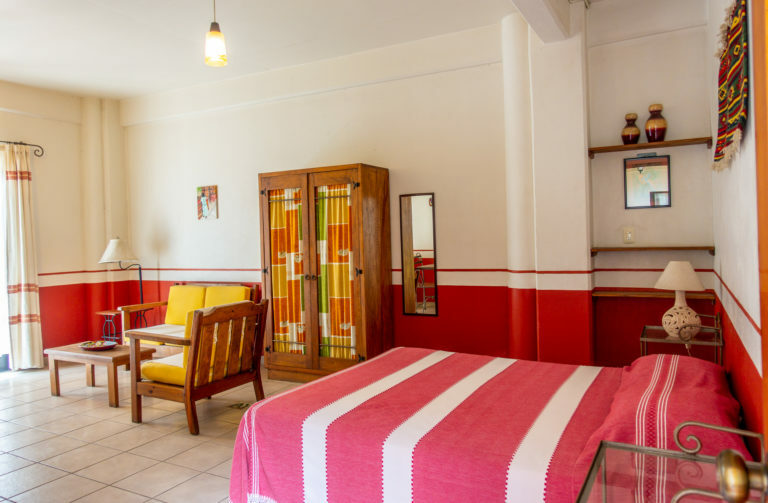 This apartment has a queen size bed, wardrobe, kitchenette, dining table and seating area. 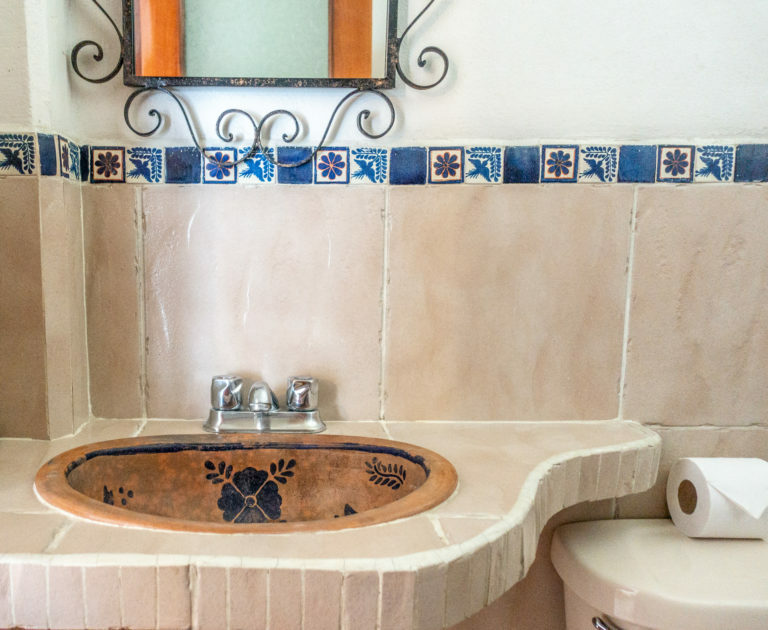 The sink for the bathroom was specially made for us at Azompa, a village that is know for its work in red clay.